Quartz has released a native iOS app for its news service and it is unlike any news app you've seen before. The app is quite blatantly aiming to catch the attention of a younger audience, but the design and interaction method have turned it into something brilliant. If you've got an iPhone, we'd highly suggest giving it a try. 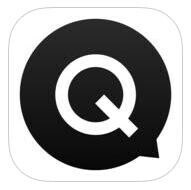 The conceit of the Quartz app is that it is set up as if it were a messaging app and you're in a conversation with the news service. You're served up a brief headline, then given the option to hear more or move on to the next story. If you choose to get more info, you'll be given a short description of the important info, a fun GIF or image to accompany it, and the option to bump in to the full article on Quartz. The app will also send you notifications of big news, and has a daily haiku to describe the stock market. All of the content is written by humans and it shows. The style is amusing and approachable. There is liberal use of emoji. And, ultimately, it feels truly engaging because of how it is set up. It's not as quick a way to get the biggest headlines of the day because there are short pauses (as if someone on the other side is typing each response, but it is different and quite interesting. Unfortunately for Android users, the app is iOS only right now, and from the announcement blog post, it sounds as though Quartz may not have even started work on the Android version of the app yet. Oh god, we've finally invented the "Starship Troopers" news app? "Would you like to know more?" LOLOLOL not on Android. But Android is the best right? Yet tons of mindless sheep who were forces at gunpoint to buy an iPhone and enjoy it are given apps first... Thanks PA will definitely check it out, even though I'm not into news apps but this seems interesting. Yeah, because android has apps like this...and have, for years, try again sheep! Some names of such apps please? I'd happily link you to the Google Play store, but apparently I'm too new, just google "Google Play store news apps" and pick the second link. Also, own a capable device please? Just downloaded the app. Nice experience, it's certainly a new way to receive news. Come to think of it, Apple should buy this and add it on Siri. Then you could ask things like: "What are the news today Siri" and then it would reply giving news information and suggestions to learn more or go on with other news. Unfortunately for Android users, we don't give a sht. Hello pa, the content/news is made by humans, but the messages aren't! You can browse quartz news via newsstand, but it is the same crap that every other news outlet puts out. Question, if you don't give a s**t. Why bother commenting? ?